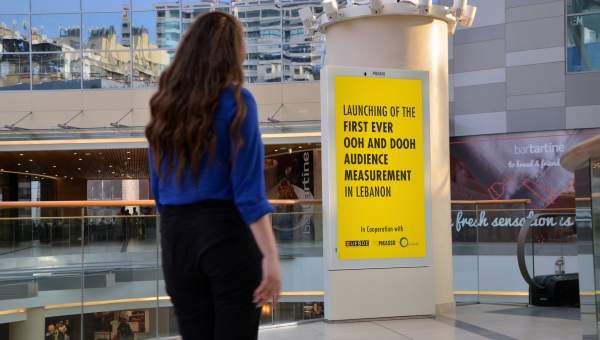 Pikasso, the leading Out-Of-Home advertising company throughout the Levant, North Africa and West Africa; and Quividi, the industry standard for Audience Analytics in Digital Out-of-Home (DOOH), announce their partnership. Pikasso’s 128 state-of-the-art screens, located in 8 already digitized shopping malls, the iconic ABC Verdun, CITYMALL, LeMall Dbayeh, and The Spot Choueifat in Lebanon, Abdali Mall and City Mall Amman in Jordan, as well as Bab Ezzouar, and Park Mall Sétif in Algeria, have all been equipped with Quividi Audience Measurement Platform (AMP). Created in 2006, Quividi is the industry standard for Audience and Attention Analytics in DOOH with over 600 end-customers and 1 billion people counted every month in 60+ countries. Quividi’s computer-vision technology measures MRC-compliant viewability and views, which elevate DOOH to the most accountable digital medium available today. Its creative and marketing suite also enables campaign creation and optimization, based on context and audience engagement (demographics, mood, and environment).